Senate Bill 2951 has passed both the Illinois Senate and the Illinois House. The bill will now be sent to Governor Quinn for signature. The bill passed the Senate with 55 "yeas", 0 "nays" and 2 voting "present." The bill faced a little more opposition in the House, but still easily passed with a vote of 93-20-01. Given the broad support of this bill and Gov. 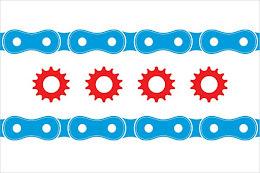 Quinn's willingness to protect bicyclists, this bill is expected to be the law in Illinois soon. Ideally it will be put into law in time for this summer's busy bicycling season.